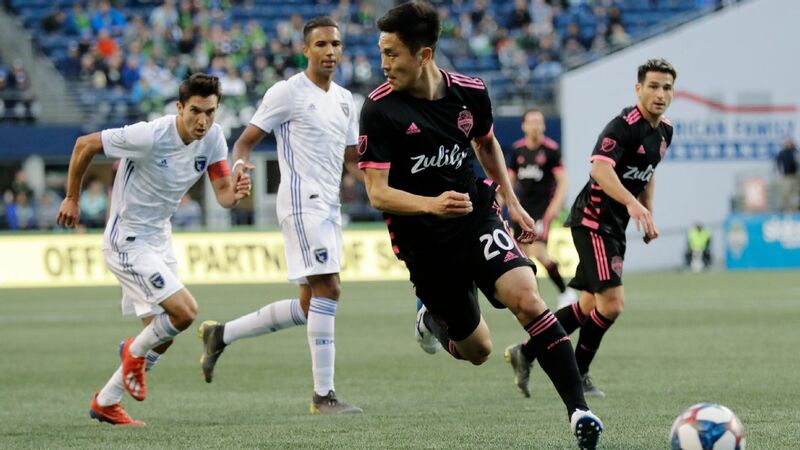 Kelvin Leerdam and Harry Shipp scored two minutes apart midway through the second half as the Seattle Sounders rallied from a two-goal deficit to tie the visiting San Jose Earthquakes 2-2 Wednesday night. Goalkeeper Stefan Frei made four saves as the Sounders (5-1-2, 17 points) rebounded from their first loss of the season, a 4-1 decision Sunday at Los Angeles FC. Shea Salinas scored twice for San Jose (2-5-1, 7 points) and goalie Daniel Vega made six saves.